Working his cheering section, if he had one that is. Don't be such a butthurt fag, INTOKISS. Of course an idiot who cannot come up with anything intellegent to say must resort to juvenile personal attacks. 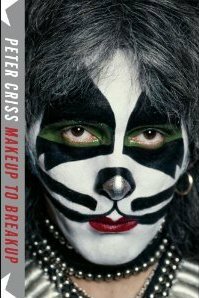 Say what you will junior, Kiss in makeup is NOT the Demon, the Spaceman, the Starchild and the Cat. It is Gene, Ace, Paul and Peter. Pity when selling singing toothbrushes and the like is more important than selling albums these days. So rock out to Alive IV newbie, I'll stick with Alive and Alive II.